How To Handle A Hail Claim - Jackson Contracting Inc. When it starts raining and you hear that tapping on the roof, you should be aware of the damages that hail can do to your roof. Ranging in size, hail can crack, break, and even puncture vinyl siding. Larger hail can dent and ding metal roofs. It can leave your gutters with dents, cracks, and breaks. 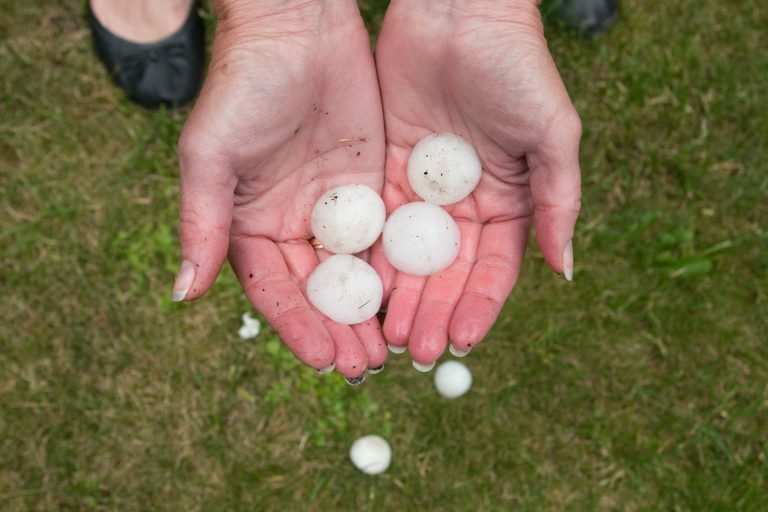 Does insurance cover hail damage?It might be time to call the insurance company, because your house could be left with considerable damages. If those damages aren’t fixed, they could cause even worse problems such as leaks, molding, or mildew. Most homeowner insurance policies offer protection against hail damage. However, it’s always important to consult your insurance agent to find out exactly what your policy covers. Some insurance companies don’t even raise premiums for hail claims. If you need to make a claim, make sure to contact your insurance company. They will send out an insurance adjuster to evaluate the damage. However, you shouldn’t just take the amount that the adjuster offers you. Contact a trusted contractor to review the damages to your home as well. A contractor might be able to see damage that an adjuster overlooks. They can help you negotiate with the adjusters to make sure your home gets the adequate repairs. Remember, you always have a choice over who repairs your home. Don’t just trust anyone who shows up at your door. You need to make sure the contractor knows what they are doing. If you need a trusted contractor, let Jackson Contracting, Inc. help you. If you’re in Indianapolis, IN, our team can assess the damage to your roof and give you an estimate. Contact us at 317-214-8124.